Luam Melake (b.1986, Ethiopia) has a background in architecture and uses complex structures to evoke emotive responses from her audience - a delicate combination of counterintuitive, unorthodox designs, constructed with surrealistic materials. These techniques are deployed throughout her textile and furniture designs. Melake's choice of materials is an intrinsic part of her art, as she views this part of the process as the main communicative aspect of her process and output. 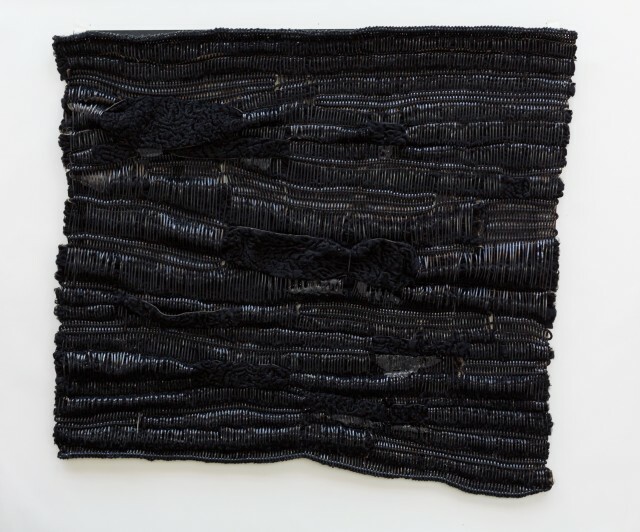 Melake's references to Ethiopia's rich textile and craftwork history are also decipherable in her textile pieces. Her multi-coloured tapestry works are abstracted and unstructured, with the principle aim of liberating them from contingents of form. Melake received her BA from the University of California, Berkeley in Architecture with a minor in Art History in 2008. She has twice been an Artist-in-Residence at two prominent institutions to include the Museum of Art and Design in New York in 2017 and the Palazzo Monti in Italy in 2018. Her work has been exhibited throughout the United States on both east and west coasts. She has worked as a research specialist for prominent art and architecture institutions such as the Calder Foundation, Demisch Danant and Studio Sofield to name a few. Melake lives and works in New York.